On this week’s podcast, host Scott Lewis moderates a roundtable discussion about vacation rentals. Also: the politics behind the City Council president position, it’s possible for fish tacos and poverty to coexist and the city’s very bad sidewalk policy. Sue Hopkins lives in a part of Clairemont that’s filled with vacation rentals. She said raucous weekend weddings, late-night conversations and the sound of roller suitcases on the sidewalks outside her home are persistent nuisances. But before the City Council votes Tuesday on how to regulate the short-term vacation rental industry in San Diego, she said city leaders need more data. On this week’s podcast, Hopkins joined host Scott Lewis for a roundtable discussion about vacation rentals. Also in the studio were John Anderson and Belinda Smith, founders of the Short Term Rental Alliance, which advocates for homeowners’ rights, and Tom Coat, founder of a new group advocating for clear regulations on home-sharing called Neighborhoods for Residents. Voice of San Diego this week published a new analysis by Host Compliance, a San Francisco-based company that’s provided rental data to dozens of other cities, and finally pinned down the elusive number of vacation rentals in the city. According to the data, there are nearly 9,000 whole-home rentals in the city. That number represents a tiny percentage of the city’s overall housing inventory, but Hopkins said city leaders need to look closely at the data and consider other numbers, too – like the region’s low vacancy rate, or the small number of rental properties available. She said other cities with similar housing crunches have instituted outright bans or severe regulations on short-term vacation rentals. Smith said she agrees that the City Council should work harder to collect more information, but that strict regulations that infringe on personal property rights are not the answer. Also on the podcast, Myrtle Cole was re-elected City Council president this week, and Lewis, Sara Libby and Andrew Keatts dig into the politics behind the decision. The City Council president sets the meeting agendas and appoints Council members to sit on various committees. It could be an extremely powerful post, but Cole has yet to wield her power in a noticeable way. And San Diego’s hepatitis A crisis continues to make its way into national headlines. 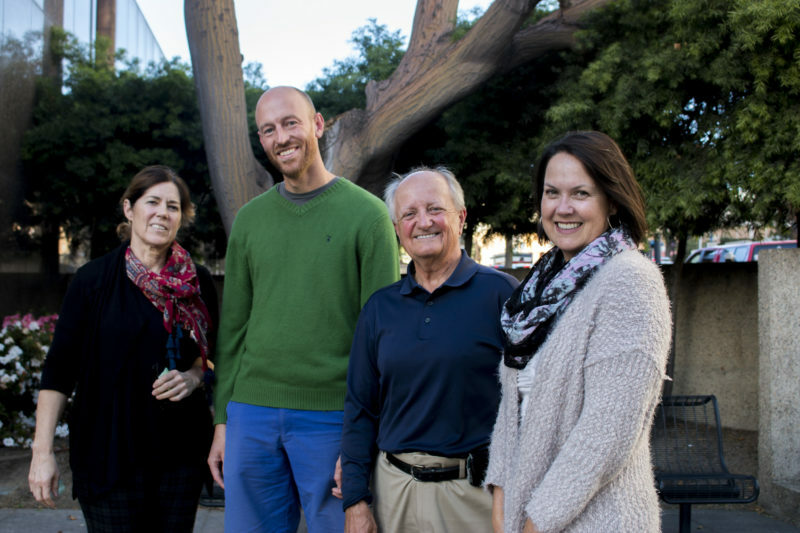 Lewis, Libby and Keatts talk about how writers outside the city can’t help focusing on the perception of San Diego as “America’s Finest City,” or a shiny tourist destination filled with fish tacos and no grit. We got grit, folks. When we recorded this week’s podcast, Shohei Ohtani, baseball’s most sought-after free agent, had said he was open to playing for the Padres. For that, he was our hero. Sadly, though, he did not end up picking the Padres. The city of San Diego’s sidewalk policy gets the goat this week. The policy makes property owners responsible for sidewalk repairs, but puts the liability for folks injured by tripping on damaged sidewalks on the city. The problem with the policy came into full focus this week when the city awarded $85,000 to a former San Diego mayor’s wife in a lawsuit over a sidewalk fall that ruptured her breast implants.